Whistler may be famous for its outdoor adventures, but in between all those fun activities, you’ll find lots of ways to relax and rejuvenate. 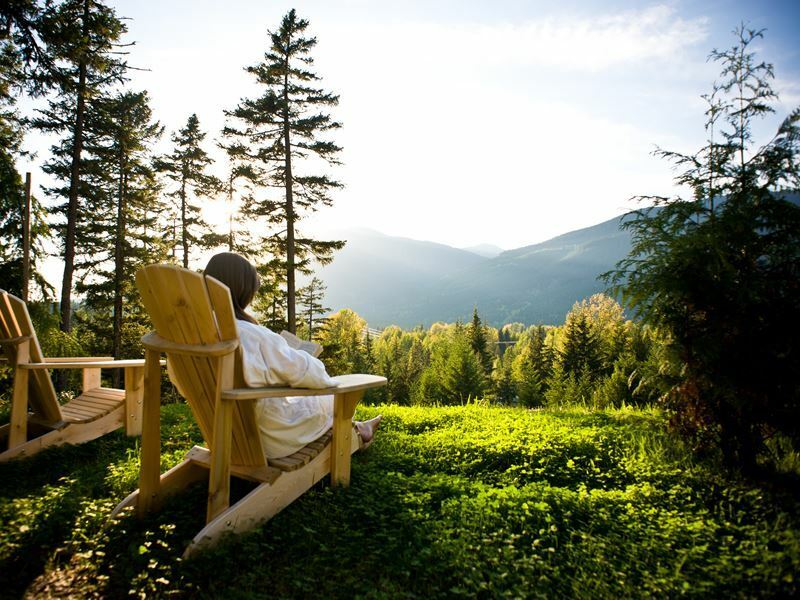 In fact, you could even make it all about R&R with a total wellness holiday in Whistler, if you really wanted to. Either way, it’s important to make time for at least some relaxation in order to soothe those tense, sore muscles and calm your mind, which will help fuel your energy for another day of play if that’s what you have in mind. In Whistler, you’ll find everything from indulgent spas to wellness clinics, yoga classes and the chance to just soak up the tranquility of nature. If you aren’t sure where to start, this guide is sure to inspire your planning for a visit to this spectacular mountain town. The Scandinave Spa offers the chance to completely disconnect from the chaos of the real world. It requires unplugging as a talk-free zone with no phones allowed, which means no incessant buzzing to interrupt your bliss. You’ll be wrapped up in a cosy robe, alternating between soaking in the lavish outdoor baths, dipping underneath the Nordic waterfall and quickly diving into refreshing cool pools, all surrounded by picturesque forest scenery. Instead of chatting on the phone, bring a good book or enjoy a nice snooze, soak in the wood-burning sauna and the eucalyptus steam bath. As part of a total wellness retreat, you can take relaxation up a notch by booking a Swedish or deep-tissue massage. There are dedicated relaxation areas too, including outdoor fireplaces, hammocks and solariums. There are few things more relaxing than doing nothing at all. 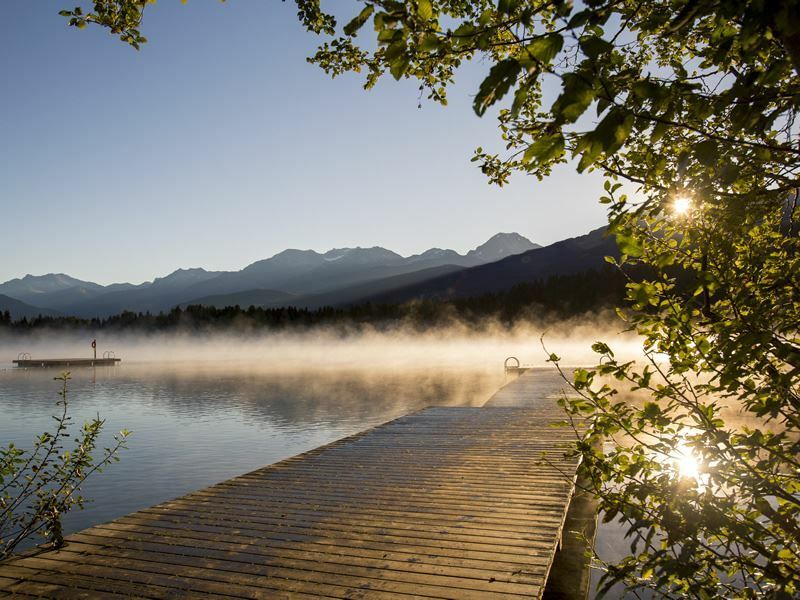 Well, nothing except immersing yourself in gorgeous scenery at the edge of one of Whistler’s glistening lakes. You’ll even find a number of sandy shores for lounging on, including Rainbow Park, located on Alta Lake. This is one of the best swimming beaches in the area, and the views from here are some of the most breathtaking – you’re pretty much guaranteed your own tranquil spot for enjoying them too. Kick back, soak up the natural wonders, and if you get too warm under the sun, you can always take a break to cool off in the glacial water. 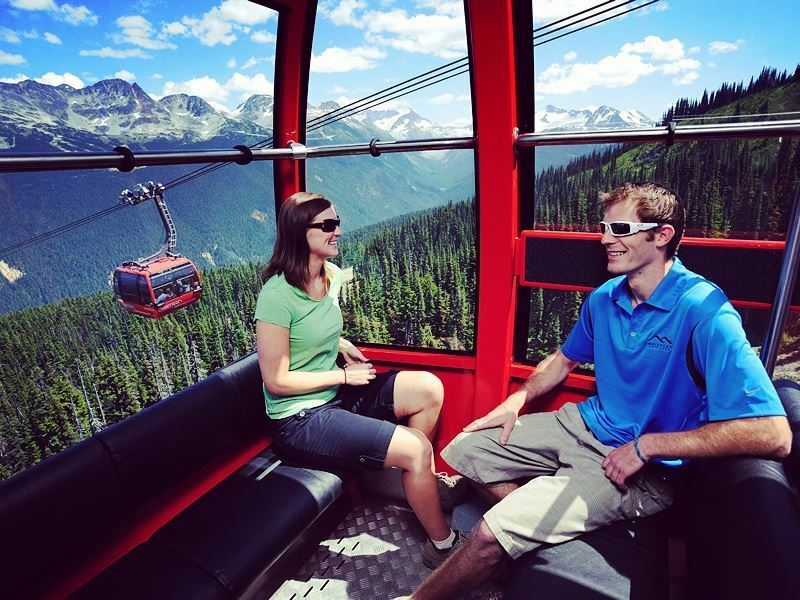 The Peak 2 Peak Gondola is a must-experience for all Whistler visitors, bringing the opportunity for a bird’s-eye view of the stunning landscape. Although it links the two mountains the make up Whistler’s skiing paradise, Blackcomb and Whistler, it’s open year-round, with the warmer months ideal for taking in vistas of the lush scenery that includes soaring mountains, the valley and the village. The gondola boasts the world’s longest lift span that’s unsupported, and it’s the highest of its kind too. You’ll ride for two miles in the glass-enclosed car, marvelling at the 360-degree views of jagged peaks – don’t forget your camera, as you’ll definitely want to share the experience with friends and family back home. Bringing a sketchpad and pencil may be a good idea too, to capture your own perspective of the spectacular sights. If you time your visit right, you can attend the monthly yoga class at the Audain Art Museum for a very different relaxing experience in a unique setting. Said to nourish the soul, you’ll be posing next to impressive works of art, focusing on the energy of each artist or gallery. While you’re there, you can also view some outstanding British Columbia art, which ranges from traditional works from the First Peoples through contemporary masters. Breathing that fresh mountain air and soaking up nature offers scientifically proven stress-relief, lowering levels of the stress hormone cortisol and even strengthening the immune system. In addition to the many health benefits of stress reduction, spending time in nature allows one to connect with mind, body and soul, enhancing overall health too. 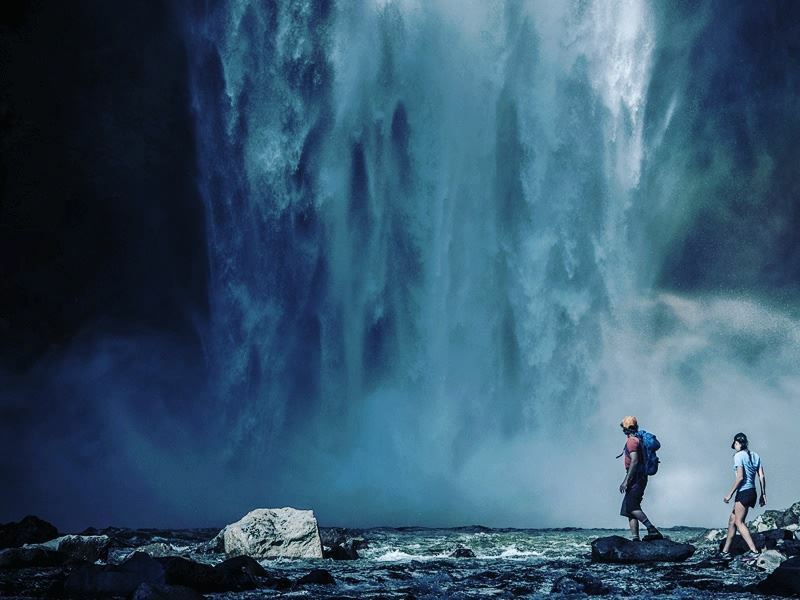 When the warmer months of the year arrive, and all the snow has melted, Whistler and the surrounding region is transformed into the ultimate place for hiking. With miles and miles of trails, it would take a lifetime to explore them all, but many can be accessed right from the village and offer gentle, easy walks. Just a few minutes south of Whistler is the Brandywine Falls trailhead, which is more of a short walk at one-and-a-quarter miles round trip. You’ll reach a lookout where you can gaze at the cascades that tumble 230 feet into a pool below, then make your way down to the base of the falls for an even better view. The Fitzsimmons Accessible Nature Trail is also ideal for a little gentle meandering close to Whistler Village. As you wander the trail, you can gaze up at the towering trees and enjoy the peaceful sounds of the Fitzsimmons Creek. Whistler Integrative Wellness Centre offers multiple restorative, relaxing treatments, including organic facials that are customised to your own unique skin type and designed to pamper while transforming both your mental and physical well-being. Options include the Age Corrective Facial, the Clear Skin Facial and the Bright Skin Facial. Acupuncture treatments are offered too, used to promote the flow of Qi throughout the body and promote its natural healing energy to improve functioning of organs and muscles. Sipping a tasty cold brew on one of Whistler’s patios is a great way to relax too, and you’ll have multiple options to choose from. 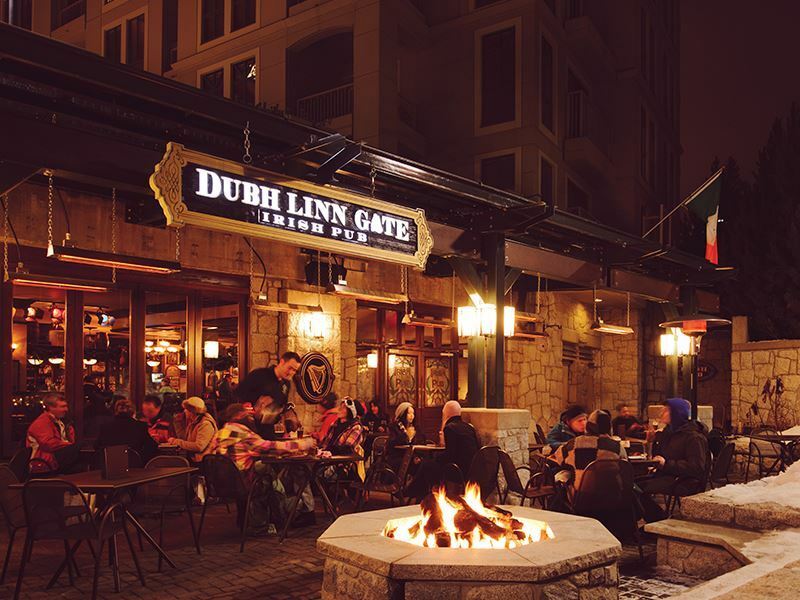 Dubh Linn Gate serves authentic Irish fare and offers 25 draught beers on tap along with an extensive patio and frequent live music. The Longhorn Saloon and Grill is an iconic spot for a cold one on a patio filled with colourful umbrellas and unbeatable views, while Milestones Grill + Bar has a large patio that faces Blackcomb Mountain, ideal for sipping a pint and enjoying a meal while taking in more unforgettable mountain views. Whistler’s art, music and culture scene has been growing quickly in recent years, offering the chance to slow down and really discover the inner workings and the people who live in this beautiful place. If you’re hoping to attend a live performance, listen to great music or learn something new through a speaker series, you’ll find a long list of events that changes from week to week. 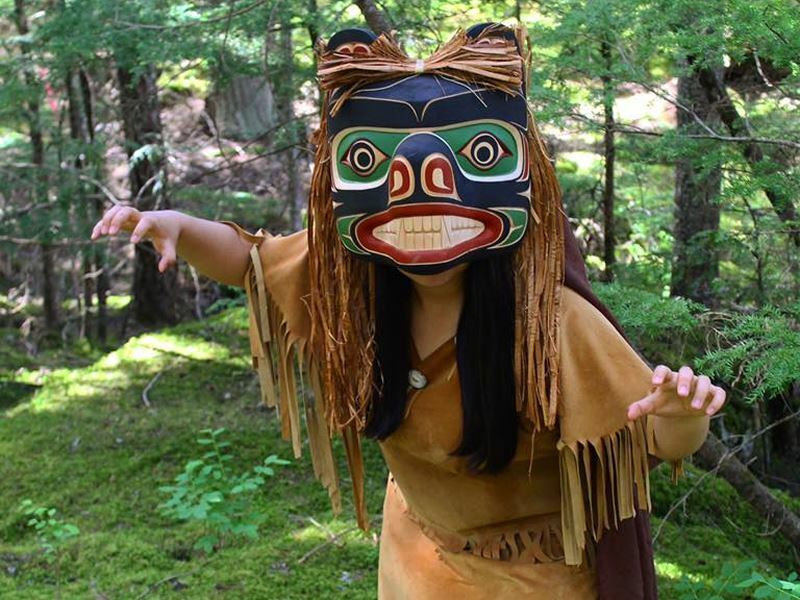 Delve right into the arts and culture scene by walking the Cultural Connector, a path that winds through the village, connecting some of Whistler’s most popular attractions, like the Squamish Lil’wat Cultural Centre, Whistler Museum, Audain Art Museum, the Lost Lake PassivHaus and much more. You’ll find a myriad of private art galleries that offer hours and hours of stress-free entertainment too. 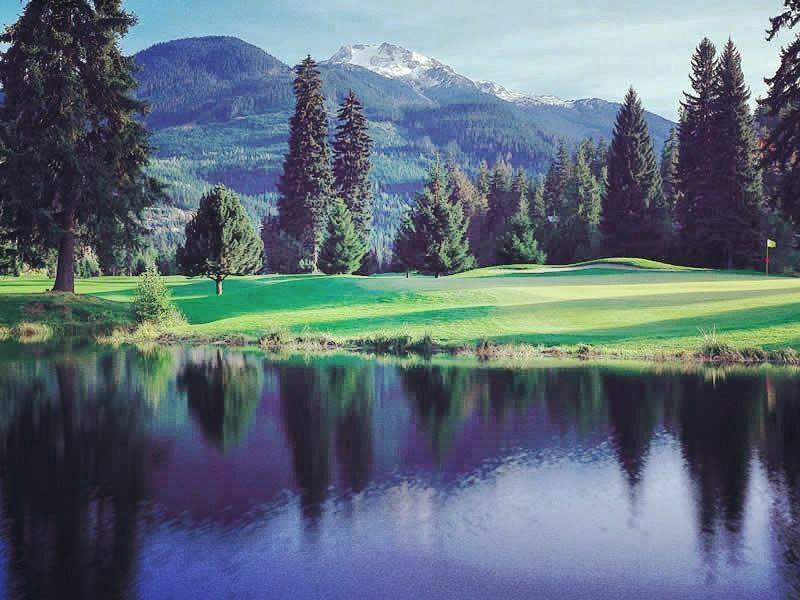 If you’re a golf enthusiast, Whistler brings the opportunity to play 18 holes on a number of scenic courses, including the Nicklaus North Golf Course and the Arnold Palmer-designed Whistler Golf Club, which are set among a lush landscape of trees, lakes, and, of course, that famous mountain backdrop. Walking in the fresh air combined with the mental challenge of the game helps to release those wonderful feel-good hormones known as endorphins for a happy, relaxed mood.